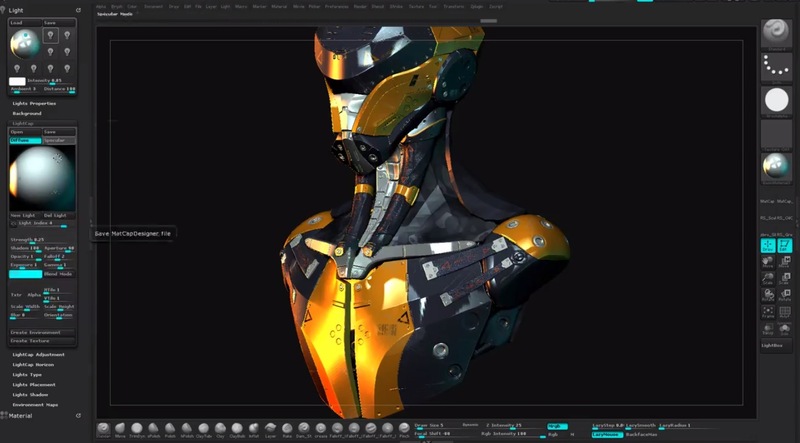 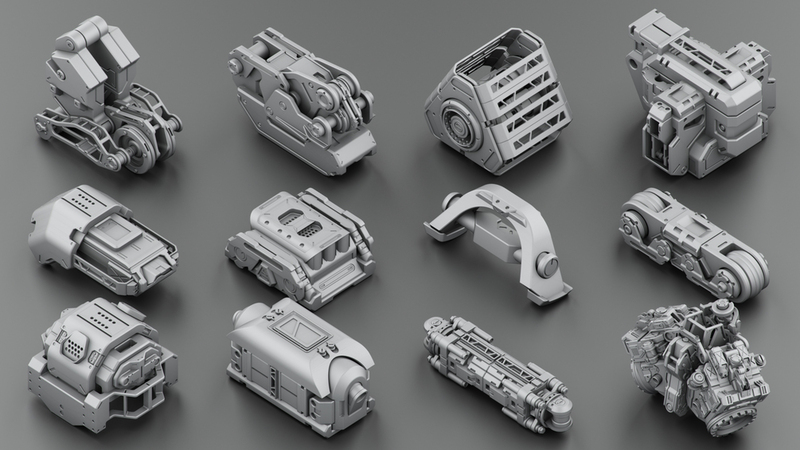 Hi Guys, don’t miss the Hard Surface KitBash Vol 2 and 3! 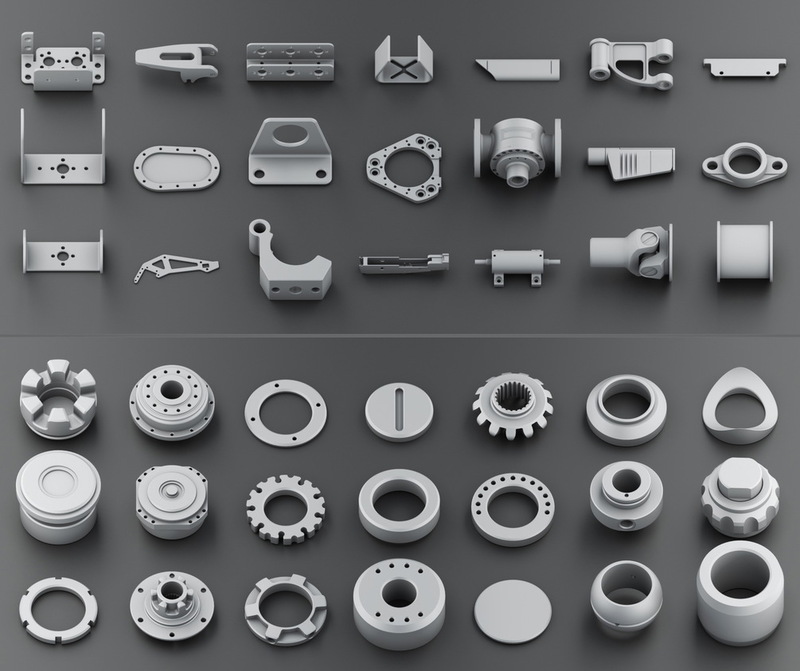 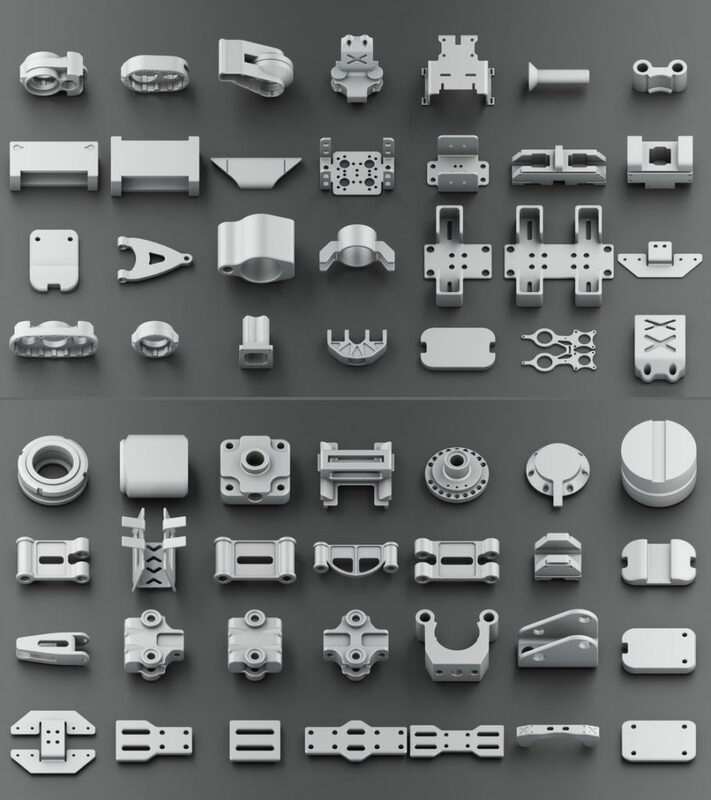 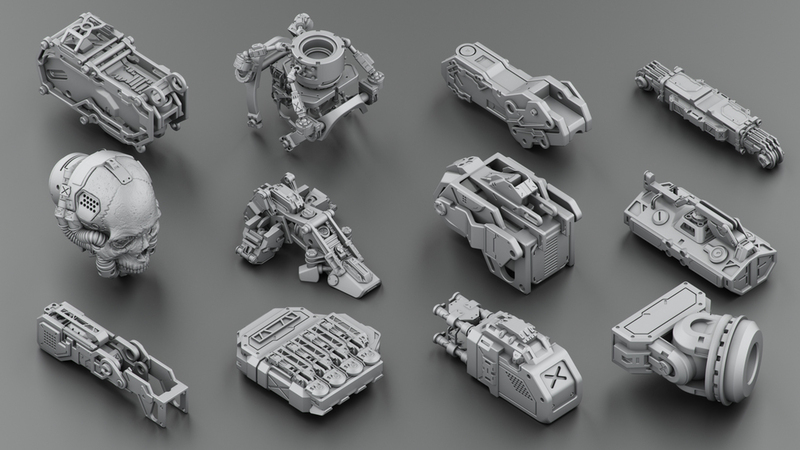 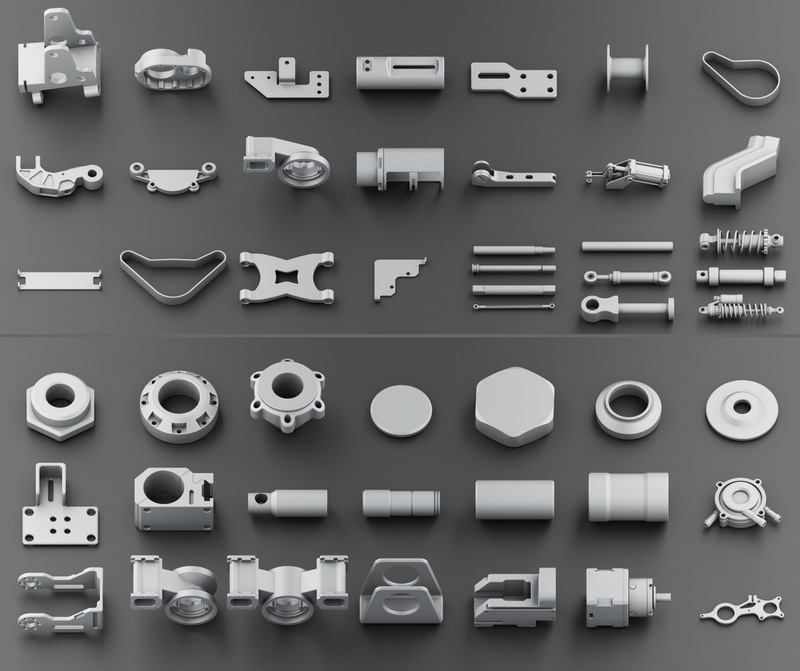 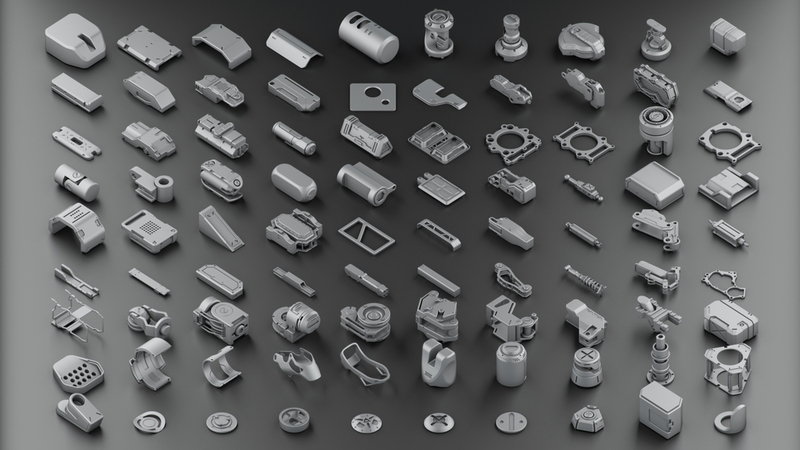 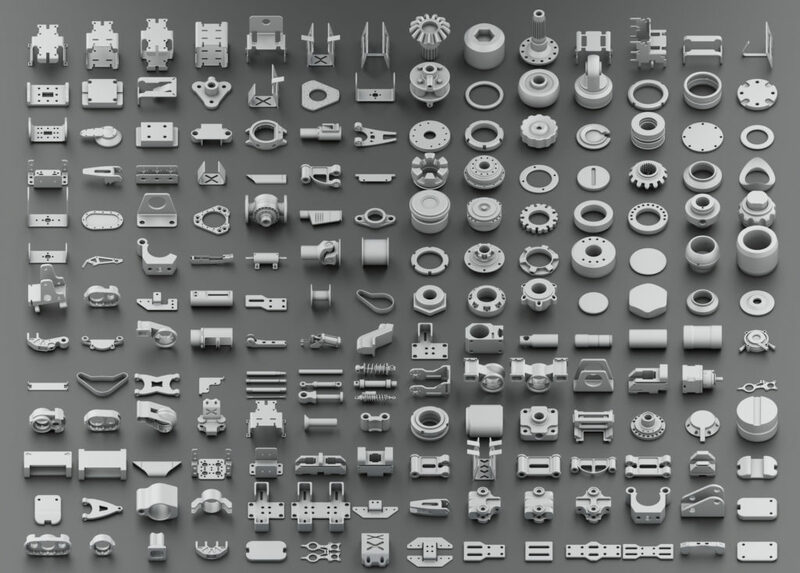 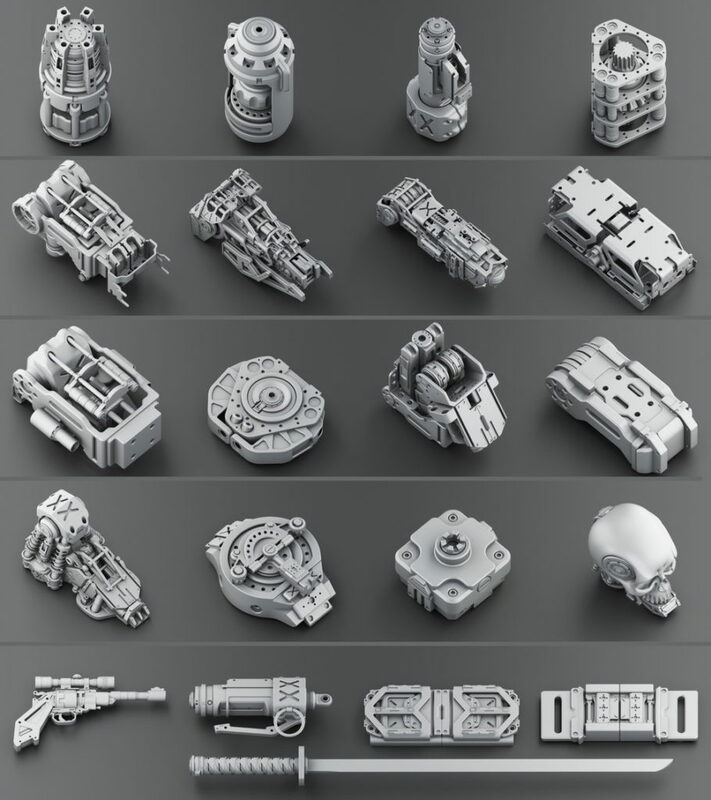 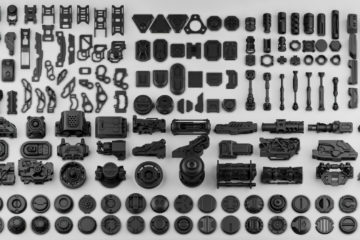 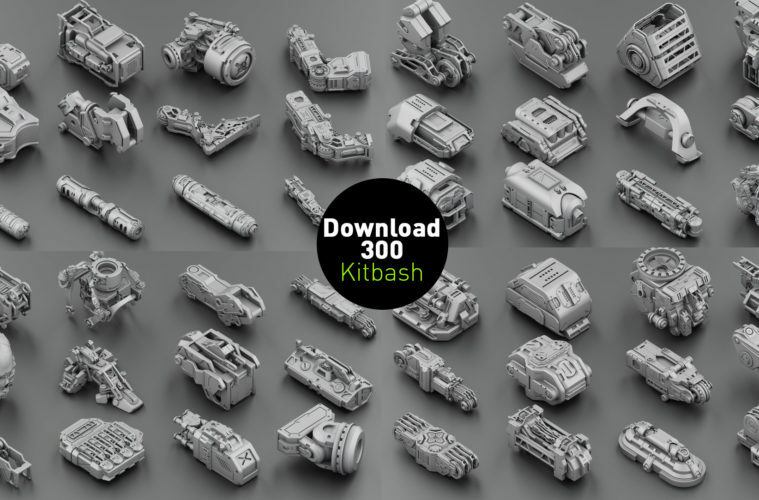 The 3D artists Oleg Ushenok and Eugene Apekin have released Hard Surface KitBash Vol 3: a huge new pack of over 300 free kitbash model parts, intended for creating concept designs for vehicles and machinery. 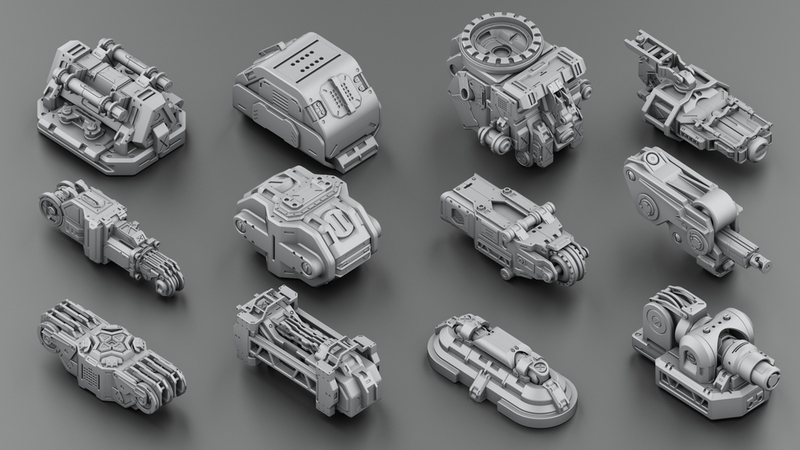 This kitbash was made to let you spend less time on modelling and more for your ready ideas. 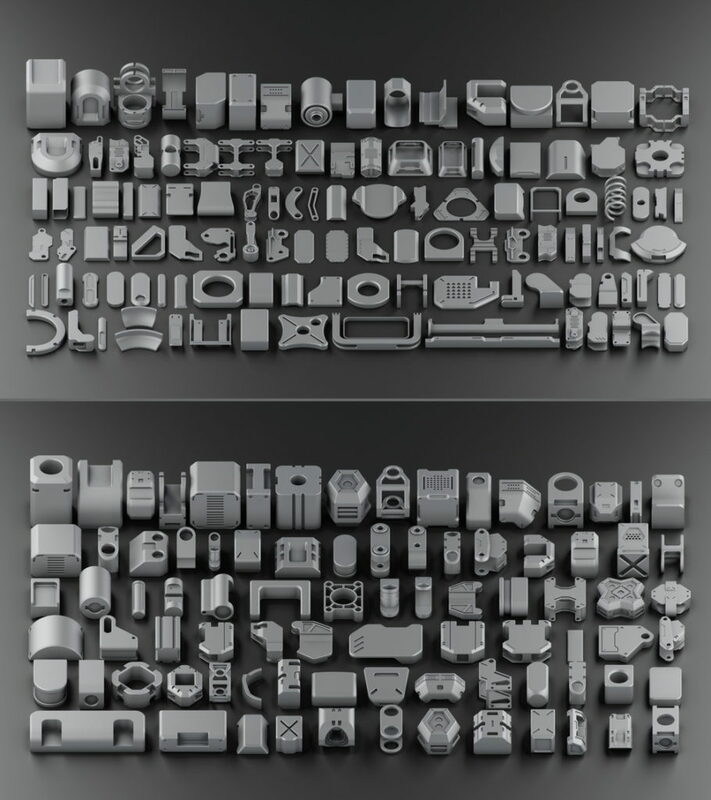 All the details were unwrapped. 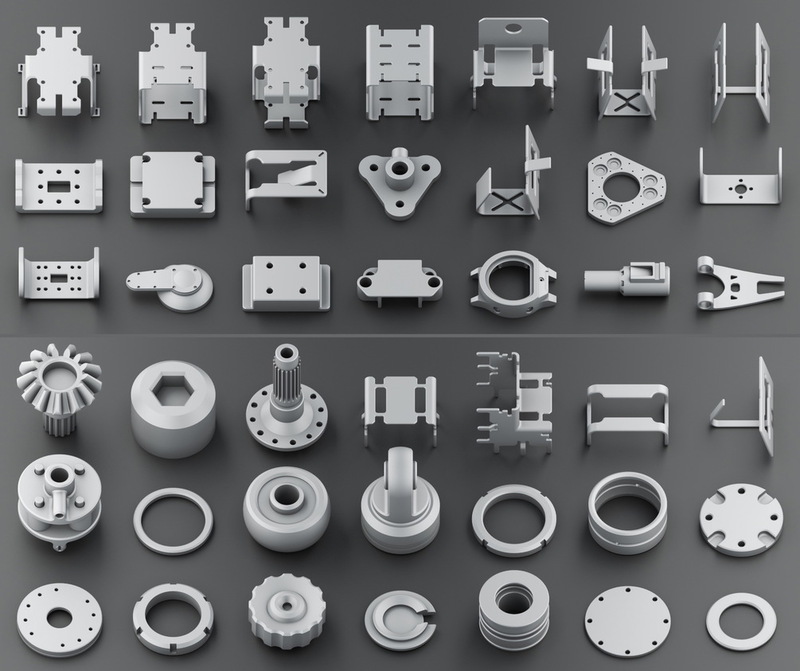 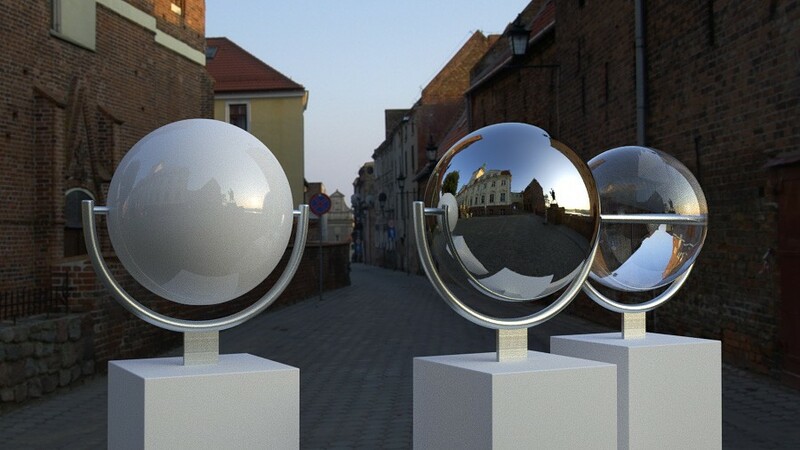 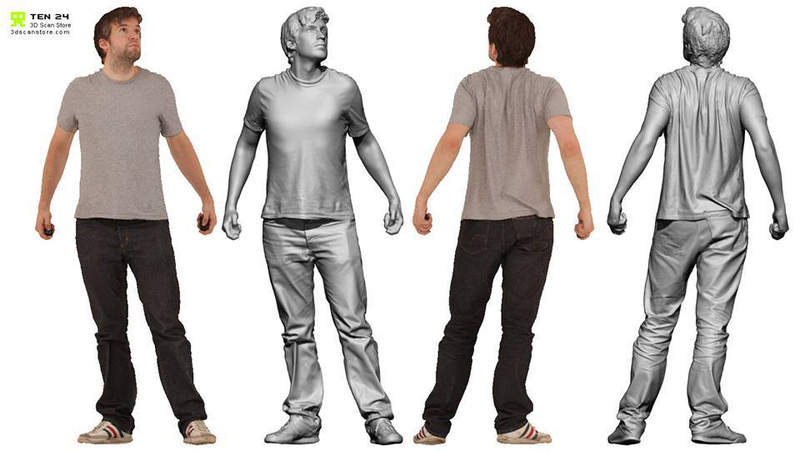 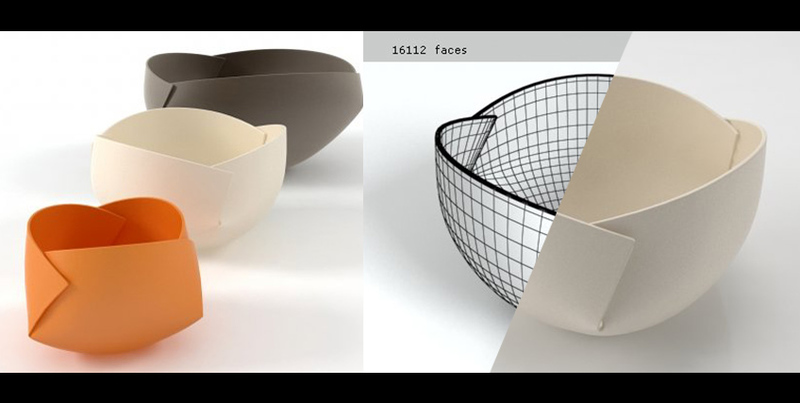 The 3D Models are supplied in MAX and OBJ format with UVs, range from simple forms like plates and brackets too much more complex assemblies. 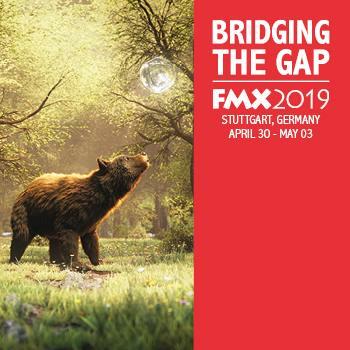 There are 305 individual assets in total, combined into 21 mesh groups. 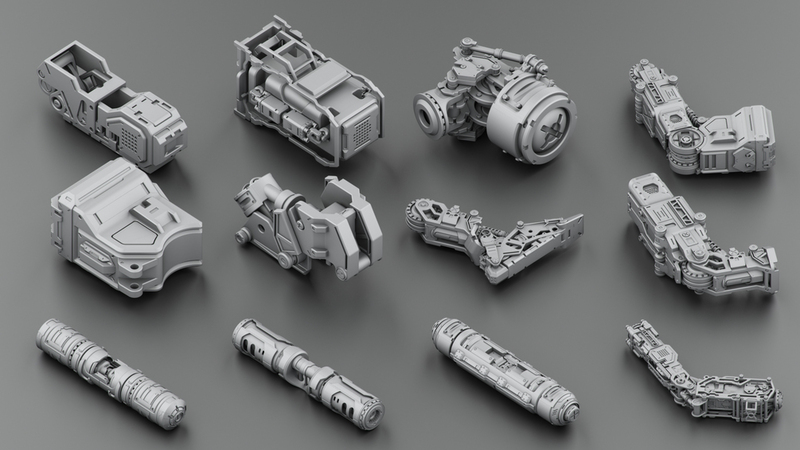 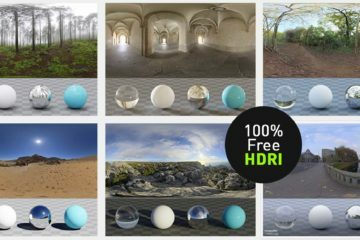 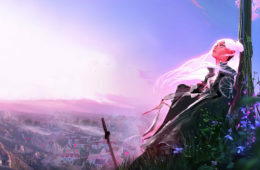 You can see more detailed views in Usehnok’s ArtStation gallery. 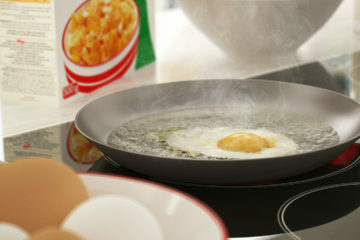 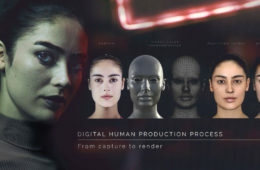 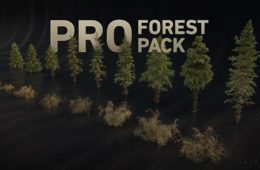 The pack is licensed for use in commercial projects.